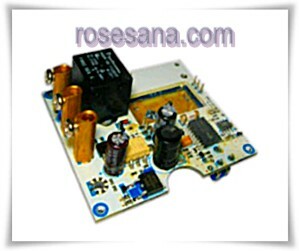 REPLACEMENT LINE AMPLIFIER FOR DX ELA-20 L-BAND 20dB GAIN. Robotics! Mount the Board of Education® programming board on a robot chassis to learn mechanical control, infrared object detection, light following and avoidance. 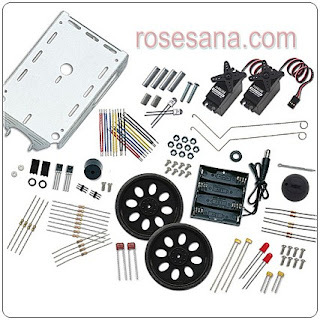 The Robotics Parts Kit includes "everything below the Board of Education carrier board and BS2-IC". This includes the Boe-Bot chassis, Whisker Kit, drivetrain hardware, wheels, battery pack, standoffs, screws, etc. The Boe-Bot chassis has mounting slots and screw holes that may be used for customizing your robot with whiskers, additional prototype space, sonar applications, or even a robotic arm. The electronic components required for the Robotics experiments are also included in the Robotics Parts Kit. Medium to high challenge and very fun! 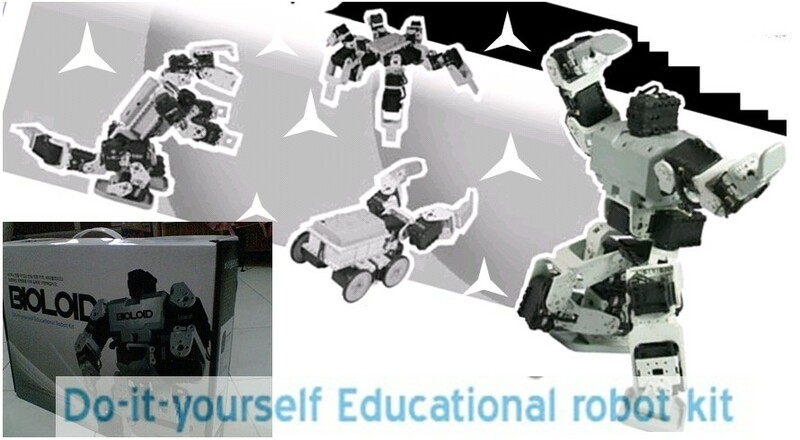 The Board of Education Full Kit is required to use this product or purchase the complete Boe-Bot robot. With the whiskers, you can make your Boe-Bot robot detect and avoid obstacles. The Whiskers are included in the Robotics parts kit and the Boe-Bot Full Kit. 2 Flat Head screw, 4-40,3/8"
The SX-Blitz is a low-cost alternative to the SX-Key development tool. The SX-Blitz provides programming capabilities for the SX line of microcontrollers, supporting every chip that is commercially available. Unlike the SX-Key however, it does not provide in-circuit source-level debugging capabilities. The SX-Blitz is fully compatible with the SX-Key IDE software used for programming the SX microcontrollers. The software operates on a Windows platform and is compatible with Win98/NT/2K/XP platforms. The SX-Key USB is Parallax's primary development tool for the SX line of microcontrollers, supporting every chip that is commercially available. Supported by the SX-Key Editor software, the SX-Key programming tool can program SX chips in-system and perform in-circuit source-level debugging. Also at the user's fingertips is an on-board programmable clock. The frequency output of this clock is adjusted from the software with a slider bar between 2.75 MHz and 100 MHz. The software operates on a Windows platform and is compatible with Win98/NT/2K/XP/Vista platforms. 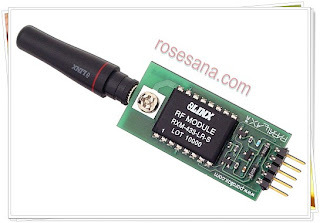 The Parallax RF modules provide a very easy and low-cost method of sending data between microcontrollers or to a PC from 500 ft+ line-of-sight (depending on conditions). 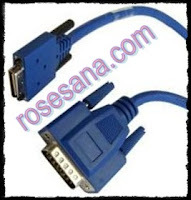 This device can be connected to a PC serial port using a MAX232 line driver. The circuit isn't supported by Parallax, but it's possible to make this connection with a few dollars of parts. The BrainStem GP 2.0 is a general purpose controller that can run code stand-alone, link to a host computer, and enable reflexive actions, all simultaneously. 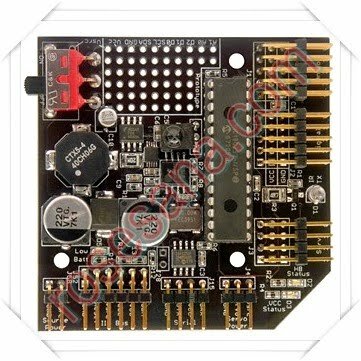 This module supports 5 10-bit A/D inputs, 5 digital I/O pins, infrared transmit /receive, 1 Mbps I2C bus, serial interface, and 4 high-resolution PWM servo outputs. The module also features voltage regulation and low-voltage protectionand an on-board prototyping area. • Infrared I/O in a variety of protocols. • A prototyping area with 2 analog, 3 digital, I2C, Vcc, and Vsrc through holes. 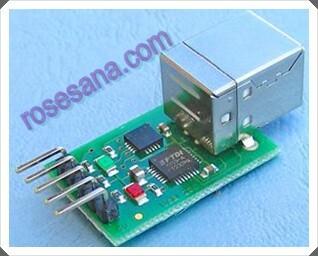 • Module powers down when input voltage of less than 3.2V is detected. The Chameleon design is based on the concept of using the AVR 328P as the MASTER (client) and the Propeller Multicore Processor as the media SLAVE (server). This is accomplished thru a SPI interface from the AVR to the Propeller (see images to right). The AVR sends "commands" to the Propeller chip via the SPI interface and a set of drivers on the Propeller (see images to right) parse, execute, and dispatch the messages to the various media objects running on the Propeller's multiple cores. Thus, printing characters on the NTSC screen from the AVR's point of view is as simple as sending 3 bytes thru the hardware SPI interface, the Propeller does all the rest with the supplied drivers. If you're a AVR enthusiast, Arduino programmer, Propeller programmer, or just someone that needs a very capable application board to solve problems and solve them fast, the Chameleon is the perfect tool. You can use as little or as much of the system as you wish due to the design of the sub-systems. You can use it as an AVR system, Propeller multicore system, or tie the processors together, its up to you. Chameleon and use the included API and program the AVR directly with AVRStudio or the Arduino IDE. The Chameleon also comes pre-loaded with the Arduino bootloader, thus you can use the Arduino tool to program the Chameleon over the USB port without an AVR compatible ISP (in system programmer). However, we recommend that you purchase a AVR ISP MKII programmer (or similar), so you can use AVRStudio as well as re-burn the FLASH bootloader if you wish to do so (or if its damaged accidentally). The Propeller is programmed with a simple serial protocol right over the USB serial port, so no additional hardware is required. 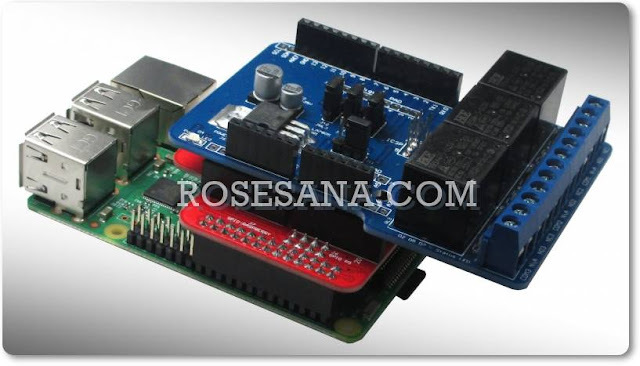 • Runs Atmel AVR 328P applications, Arduino applications as well as Parallax Propeller applications. • 1 MByte SPI FLASH memory. • 64 Kbyte EEPROM (for Propeller processor boot program storage). 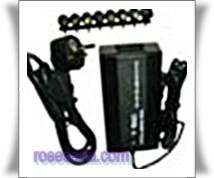 • 500mA max power 3.3/5V dual supplies (power by USB or external 9V DC supply with hot swapping). Arduino mode as well as serial comms. 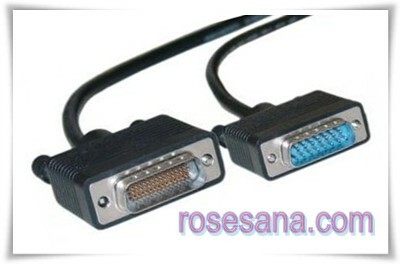 • VGA output with 2x2x2 RGB. 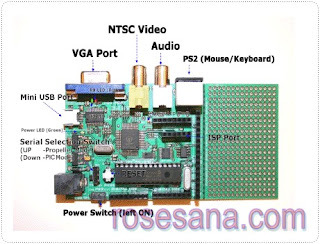 • Composite video output for NTSC/PAL video. • Atmel 6-pin ISP programming port for direct access to AVR (programmer not included). • Exported SPI, Serial and I2C buses. • Removable XTALs for overclocking. The Chameleon design is based on the concept of using the PIC24 as the MASTER (client) and the Propeller Multicore Processor as the media SLAVE (server). This is accomplished thru a SPI interface from the PIC to the Propeller (see images to right). The PIC sends "commands" to the Propeller chip via the SPI interface and a set of drivers on the Propeller (see images to right) parse, execute, and dispatch the messages to the various media objects running on the Propeller's multiple cores. Thus, printing characters on the NTSC screen from the PIC's point of view is as simple as sending 3 bytes thru the hardware SPI interface, the Propeller does all the rest with the supplied drivers. If you're a PIC enthusiast, Propeller programmer, Arduino fan, or just someone that needs a very capable application board to solve problems and solve them fast, the Chameleon is the perfect tool. You can use as little or as much of the system as you wish due to the design of the sub-systems. You can use it as a PIC 16-bit system, Propeller multicore system, or tie the processors together, its up to you. Included with the package is the Chameleon itself as well as a 150+ page electronic manual on DVD that outlines how the Chameleon works with examples of using the media processing abilities. Also, the manual illustrates the hardware design, using MPLab, the Our Custom Text Editor Based Environment IDE, Propeller IDE, software installation, the API, and how to write your own drivers if you wish. But, best of all, you can get started immediately with the Chameleon and use the included API and program the PIC directly with MPLab or our Custom Text Editor based IDE. The Chameleon also comes pre-loaded with the Microchip bootloader, thus you can use the protocol compatible tools to program the Chameleon over the USB port without a Pickit2 compatible ISP (in system prgrammer). However, we recommend that you purchase a Pickit2 ISP programmer (or similar), so you can use MPLab to its fullest potential, debug, as well as re-burn the FLASH bootloader if you wish to do so (or if its damaged accidentally). The Chameleon PIC 16-Bit was designed to be Arduino I/O compatible as much as possible, so programs written for the Arduino (or Chameleon AVR) in C/C++ could be easily ported to the Chameleon PIC as supported by the I/O headers. However, the Chameleon PIC 16-bit is over 200% faster than the Arduino and double the bandwidth since its a 16-bit processor. Additionally, the Chameleon PIC comes pre-programmed with a custom Microchip bootloader, so you can develop directly with a very simple text editor and set of batch files we have created that give the Chameleon PIC an "Arduino-like" development experience if you don't want to use the more complex MPLab. So right out of the box, all you need to program the Chameleon PIC is a USB cable and a PC. Runs Microchip PIC24 16-bit applications, as well as Parallax Propeller applications. 1 MByte SPI FLASH memory. 64 Kbyte EEPROM (for Propeller processor boot program storage). 500mA max power 3.3/5V dual supplies (power by USB or external 9V DC supply with hot swapping). bootloader mode as well as serial comms. 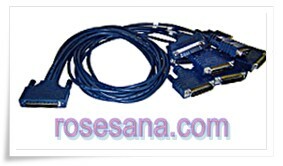 VGA output with 2x2x2 RGB. 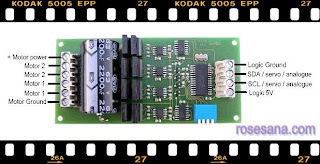 Composite video output for NTSC/PAL video. Microchip 6-pin ISP programming port for direct access to PIC (programmer not included). Exported SPI, Serial and I2C buses. 1. Drives two motors with independent control. 2. Ease of use and flexibility. a) A standard 5V supply for the control logic, only 50mA maximum is required. b) The H-Bridge has a rating of 60v allowing Motor voltages up to 24vdc. 4. Steering feature, motors can be commanded to turn by I2C register or input (Analogue + Servo). a) I2C bus, up to 8 MD22 modules, switch selectable addresses and 4 modes of operation including steering..
b) 2 independent 0v-2.5v-5v analog inputs. 0v full reverse, 2.5v center stop, 5v full forward. c) 0v-2.5v-5v analog input for speed ,with the other channel for steering. d) independent channel RC mode. 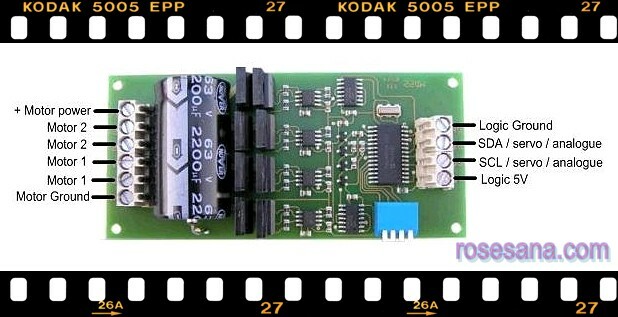 Motors are individually Controlled directly from the RC receiver output. e) RC mode with steering, allows speed control with one stick of radio control, and steering with the other. 6. Uses high current MOSFETs, making a very robust module. The MD03 is a medium power motor driver, designed to supply power beyond that of any of the low power single chip H-Bridges that exist. Main features are ease of use and flexibility. The motor's power is controlled by Pulse Width Modulation (PWM) of the H-Bridge at a frequency of 15khz ( 7.5khz before version 12). 1. 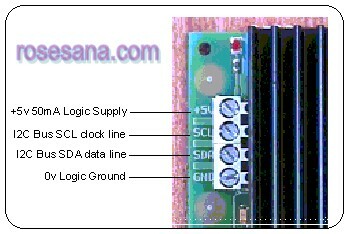 A standard 5V supply for the control logic, only 50mA maximum is required. 2. The H-Bridge has a rating of 60v allowing Motor voltages up to 24vdc. a. I2C bus, up to 8 MD03 modules, switch selectable addresses. b. 0v-2.5-5v analog input. 0v full reverse, 2.5v center stop, 5v full forward. d. RC mode. Controlled directly from the RC receiver output. e. PWM. A simple onboard filter means you can use a 0%-100% 20khz or greater instead of analog. The USB-I2C module provides a complete interface between your PC and the I2C bus. The module is self powered from the USB cable and can supply up to 70mA at 5v for external circuitry from a standard 100mA USB port. The module is an I2C master only, not a slave. The USB-I2C module uses the FTDI FT232R USB chip to handle all the USB protocols. The documentation provided by FTDI is very complete, and is not duplicated here. Before using the USB-I2C, you will need to install FTDI's Virtual COM Port ( VCP ) Drivers. These drivers appear to the system as an extra Com Port ( in addition to any existing hardware Com Ports ). Application software accesses the USB device in the same way as it would access a standard Windows Com Port using the Windows VCOMM API calls or by using a Com Port Library. Drivers are available for Windows, Apple, Linux and Open BSD systems directly from the FTDI website. You should get and install the drivers now, before you connect the USB-I2C to your computer. The Drivers page is here. More technical review here. 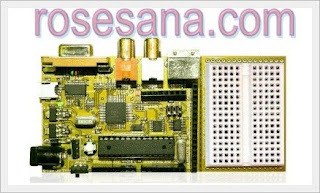 Description: AVR In-System Programmer mkII is used for field upgrades of AVR Flash microcontrollers. The AVRISP mkII combined with AVR Studio can program new AVR 8-bit RISC microcontrollers with ISP Interface. The AVR Studio online-help contains the most current information and a complete list of supported devices. AVRISP mkII programmers manufactured from 20071012 to 20080130 has a missing parameter in the firmware. This causes the AVRISP mkII to not be able to communicate with the target AVR. The AVRISP mkII can be fixed by upgrading the firmware. For procedure details see AVRISP mkII fix note. Universal 100 Watt Switching adapter , with USB port charger. 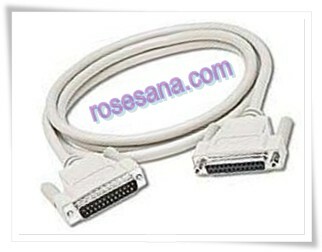 Cisco Systems 8 Lead Octal Cable and 8 Male DB-25 Modem Connectors. 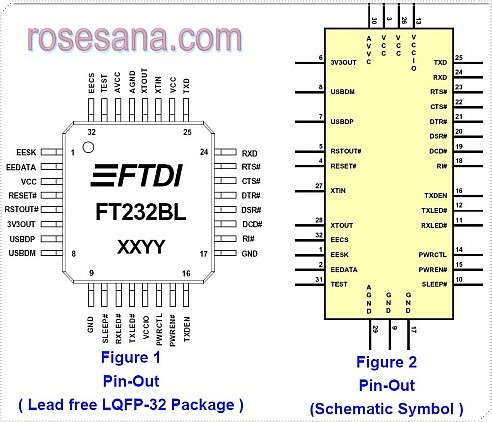 FT232BL USB UART ( USB to Serial on single chip) I.C. 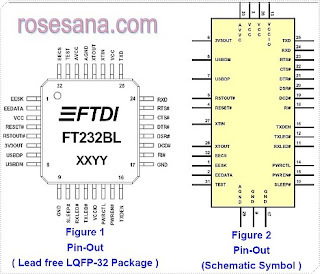 The FT232BL is the lead free version of the 2nd generation of FTDI’s popular USB UART I.C. This device not only adds extra functionality to its FT8U232AM predecessor and reduces external component count, but also maintains a high degree of pin compatibility with the original, making it easy to upgrade or cost reduce existing designs as well as increasing the potential for using the device in new application areas. 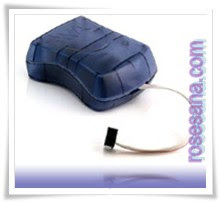 • Compact Lead free RoHS compliant 32-LD LQFP package. Built-in SiRFstarIII chipsets receivers give unparalleled GPS performance and precision. 20 parallel satellite-tracking channels for fast acquisition and reacquisition. 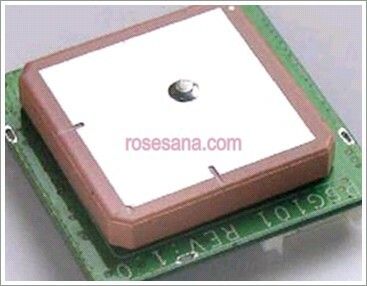 Low power consumption and ultra mini size only 32x32mm. Built-in rechargeable battery for backup memory and RTC backup. Support NMEA0183 v2.2 data protocol. For Car Navigation, Marine Navigation, Fleet Management, AVL and Location-Based Services, Auto Pilot, Personal Navigation or touring devices, Tracking devices/systems and Mapping devices application. 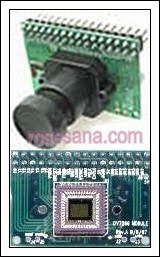 The C3188A is a 1/3" color camera module with digital output. It uses OmniVision's CMOS image sensor OV7620. Combining CMOS Technology together with an easy to use digital interfaces makes C3188A a low cost solution for higher quality video image application. The digital video port supplies a continuous 8/16 bit-wide image data stream. All camera function, such as exposure, gamma , gain, white balance, color matrix, windowing, are programmable trough I2C Interface. 8.5GHz Radar Light Switch,based on Doppler Effect.Taking latest advanced planar antenna to effectively inhibited high-order harmonic signals. When people stay at sensor range, Radar Detector will automatically connect to the load. People stay at sensor range, Radar Detector will continue to connect the load. Automatically turns off the load after people leave.It will light up when people are here; it will light out when people away to achieve energy-saving minus carbon purpose. * Special design, can instead of traditional Switch. * Don´t worry wrong line connected caused short-circuited. Just connect original power line, don´t need to connect with fire wire. * With night-light instruction, hand-operated or auto-operate for your best choice. * Auto-start sensing light function at night. * Can be as ON/OFF, it will keep open after you press ON/OFF key, easy for office using. * Wireless UHF microwave detecting to avoid the PIR causing working error, no-operating, short distance , etc. which are causing by weather, temperature changing. * Reduce PIR failure rate. * Detect distance over 15M. * Strong penetration, can penetrate wall, glasses and so on. * Well responsive, almost no dead angel. Not an average robot kit, the Bioloid Comprehensive Kit from Robotis allows you to build and configure over 26 robots! The Bioloid Robot Kits from Robotis are the first educational robot kit based around "smart serially controlled servos" which are not only capable of switching between positioning and full continuous rotation, but also provides you with access to sensory feedback such as position, speed, temperature, current draw and voltage of each servo. Bioloid kits are designed in a way that allow the user to construct multiple types of robots. In addition to the great hardware, the Bioloid Kit comes with some powerful GUI-based software. The software is freeware, so whether you're using this kit for education, research, or personal recreation, you can download and install it on as many computers as you need. Bioloid Robot Kits are perfect for Education, Hobbies, Research and Competition.